Homeownership is becoming expensive, possibly out of reach, for many residents living in areas vulnerable to natural disasters. 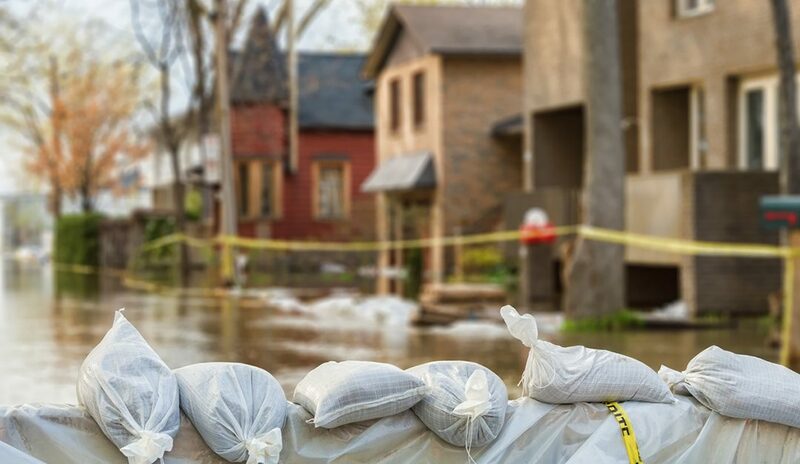 With fire concerns and flood risks hiking up insurance premiums, homeowners are seeking the most cost-effective way to protect against hurricanes, wildfires, and more. 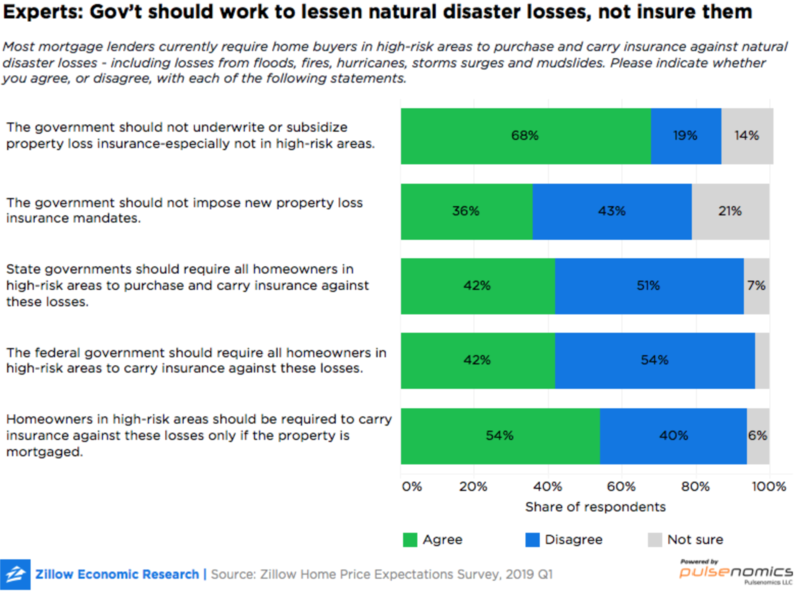 Zillow and Pulsenomics LLC recently surveyed over 100 real estate economists and experts about the most impactful government response options in areas at high risk of a natural disaster. According to the survey, focusing on building codes, zoning and infrastructure may prove more effective than relying on government-supported insurance policies. Which proposals garnered the most votes? Only 26 percent of those surveyed favored insurance-based options, such as requiring private insurance companies to provide more affordable policies or asking the government to intervene with state-sponsored coverage. In fact, 68 percent agreed with the statement that “the government should not underwrite or subsidize property loss insurance—especially in high-risk areas.” Only 42 percent agreed that federal and state governments should impose mandatory natural disaster insurance for homeowners in high-risk areas. Forty-seven percent of respondents stated that simply moving may be a better alternative for those who cannot obtain insurance coverage or afford to pay the higher premiums; however, this is not a realistic solution for Americans who do not have the funds to pay moving-related expenses, according to the survey. “Natural disasters are occurring with growing frequency and intensity, and across the United States, residential development has expanded in recent decades closer and closer to vulnerable wildlands,” says Zillow Senior Economist Aaron Terrazas. “The result is that more and more Americans are discovering—sometimes painfully too late—that their homes are at risk. Policymakers are struggling to find solutions to protect their communities and often face a difficult trade-off between new building regulations and infrastructure investments that can drive up housing costs and taxes, or requiring insurance that also raises costs to homeowners and, in some cases, makes taxpayers liable for the bill.